Here I’ll discuss what high altitude sickness is, some of the orthodox approaches, and how “acupuncture”, in the form of Chinese herbalism, can potentially treat altitude sickness through muscle testing Chinese herbal formulations. High altitude sickness is a condition occurring where there is less oxygen in the air. These symptoms can range from light headedness, to shortness of breath, lassitude to diarrhea, heart complications, and even death. Many people can acclimate to high altitudes after a few days; many do not. The link above notes several solutions to the symptoms of altitude sickness. Ibuprofen is one such solution. There are also some prescriptions that can be provided by an orthodox physician. Of course, there are risks associated with any medication in terms of side-effects and cost. NSAIDS like ibuprofen pose a measurable risk to the kidneys, heart, and liver. Steroids come with their own risks. The cost of a doctor’s visit and medications, complicated by a reluctance to feed the pharma beast, add up. For these reasons, many people are in search of a less risky alternative. “Acupuncture” has become common reference to what is more technically known as “Chinese medicine.” Chinese medicine is the theoretical underpinning for a range of applications ranging from needles, to cups, to massage, and herbs. . . to name a few. Chinese herbalism has a documented history of well over 2000 years. It consists of a theoretical framework that classes herbs as possessing certain properties. From this herbs are combined in particular ratios to treat a condition. Fundamentally, altitude sickness is an oxygen and blood issue, specifically a lack of oxygen in the blood condition. This starves the organs, particularly the lungs and heart. I am unaware of any Classical Chinese medical texts on herbs specifically referencing altitude sickness. However, there are herbs already known to boost oxygen uptake and increase endurance, such as rhodiola, cordyceps, ginseng, and reishi. 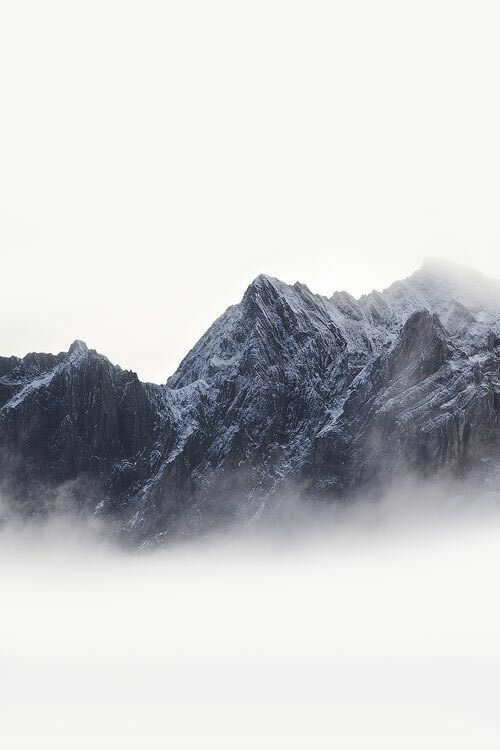 This article provides an excellent overview of the modern research in China on uses of traditional Chinese medicine concepts and herbalism in treating altitude sickness. There seem to be a range of herbs and approaches that prove quite effective depending on the how fast one transitioned from low to high altitude. Practically speaking, the differences between formulas pose a challenge for prescription purposes. This is where muscle testing helps. “Muscle-testing” is also known as kinesiology. How and whether kinesiology works is a greatly debated subject. From my own clinical experience, kinesiology is an extremely useful and educational diagnostic tool. Some care needs to be made in selecting the formulas tested. In my recent case of altitude sickness, I selected some formulas containing herbs and strategies mentioned in the above article. It turned out that a formula usually prescribed for stroke tested strongest and one formulation, mentioned in the article, tested worst among the six. Both formulas have shown promising results in tests, but their mechanism varies greatly. The function of the so-called stroke formulation is to promote blood circulation, and it has a high dose of astragalus, which is a vital endurance herb. The formulation that tested worst possessed no blood regulating properties. The person being tested is a carrier of the sickle-cell trait, which research has shown functions poorly in high altitude conditions. This population is more susceptible to highly adverse altitude sickness symptoms. The dual function of the stroke formula, of treating the blood and endurance, is more appropriate than a formula that has no blood regulating properties at all given the circumstances of the patient. She experiences symptoms flying. Upon taking the formula three days before flying to the East Coast, she experienced no symptoms during the trip. I initially selected the stroke formula among the others because of its astragalus content, but mostly actually as a control. I blind test all formulations, meaning after being selected, I do not look at what the bottle is while testing on the patient. This is to mitigate bias. The findings allow me to devise a treatment strategy post facto or provoke the question why such a formula would be useful for a particular condition. This is to say, I did not reason the efficacy of any formula before testing; the place where something can go wrong in the chain of metabolic events is very complicated. The results from muscle testing allow one to deduce, based upon the constituents of each formula, why one approach would be more favorable than another from one patient to the next. Some of what informs the decision to go with a strong test result is research based, if not on the formula then on some of its constituents. In this case, some of the herbs should either have documented evidence for alleviating altitude sickness or possess some analogous attribute. Take, for instance salvia, which has documented benefit for treating and preventing coronary ischemia. This is an oxygen and blood condition that is in some ways parallel to altitude sickness, enough so that it is plausible why the formula elicits the strong test results it does. This is especially the case since several herbs from the same blood regulating category as salvia are also included. Such is the process and reasoning, in that order, involved in giving an herbal formula the green light for a patient. Altitude sickness can pose significant health challenges. For those with concerns about using orthodox medicine, Chinese herbs offer a research-based alternative. There are a range of herbal formulas with different actions shown to alleviate altitude sickness symptoms. Muscle testing provides clues and provokes research into why some formulas may be better than others in the context of treating an individual. The case of my patient carrying the sickle cell trait illustrates how process and deductive reasoning find practical application for solid clinical results. It also answers how a formula can treat more conditions than is customary.